WILMINGTON, North Carolina – Freshman Zarion Sharpe tossed six shutout innings and Casey Golden and Riley Zayicek both homered as UNCW blanked Delaware, 5-0, to win the weekend Colonial Athletic Association series on Sunday at Brooks Field. The Seahawks improved to 21-22 overall and 9-6 in the conference. UD dropped to 24-17 and 10-8. 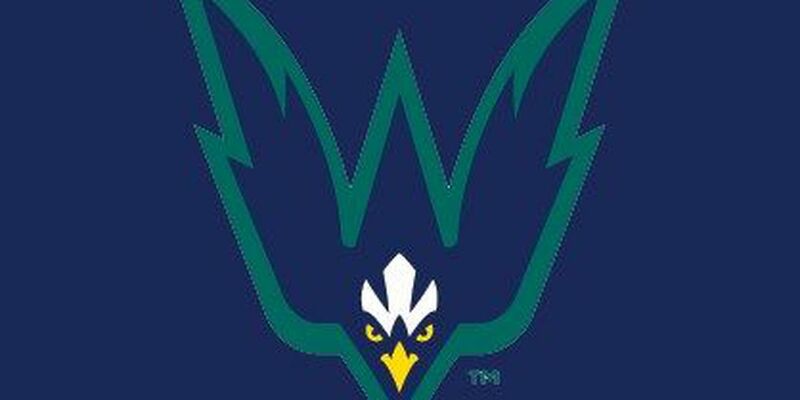 UNCW jumped past the Blue Hens for third in the conference standings. The Seahawks and William & Mary are tied record-wise, but UNCW won the series earlier this season. Sharpe, who won his fourth consecutive start, allowed just three hits and walked none while striking out three. The lefthander needed just 68 pitches to work his way through six innings. Josh Roberson, Chris Joyner and Clark Cota finished off the game, each going an inning and combining for five strikeouts. Nick Feight, Robbie Thorburn and Cole Weiss, who came on as a pinch hitter, all finished with two hits for UNCW while Golden knocked in two runs. Brian Mayer was the only UD player with two hits. Starter Kevin Milley (3-3) took the loss after allowing three runs, two earned, on four hits and four walks in 2.1 innings. Up next: The Seahawks close out their home schedule beginning May 5 with a 7 p.m. start against conference-leading Northeastern. How it happened: Zayicek opened the scoring with his fifth home run of the season with one out in the second inning. One inning later, it was Golden who homered for a 2-0 lead. The round tripper was the 11th of his season, a new career-high. Inside the box score: Weiss had the game's lone hit with RISP as UNCW went 1-fo-5 and Delaware 0-for-7 … UNCW pitchers allowed just one leadoff hitter to reach safely while UD allowed two … UD walked just twice and struck out eight times. Notes: UNCW now leads the all-time series, 36-19 … UNCW sits just two games out of first place behind Northeastern (11-4) … Chris Joyner struck out the side in the eighth inning, giving him 25 in 20.2 innings this season … UNCW's pitching staff limited UD to a .211 batting average while the Seahawks committed just one error on the weekend … Offensively, UNCW outscored the Blue Hens, 23-10, while hitting .294. and posting a .385 on base average.